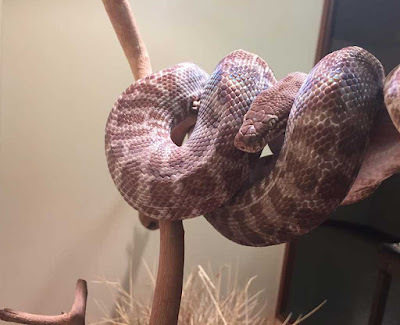 A Stimson's python spent three hours trapped "within himself" after shedding his skin for the first time. 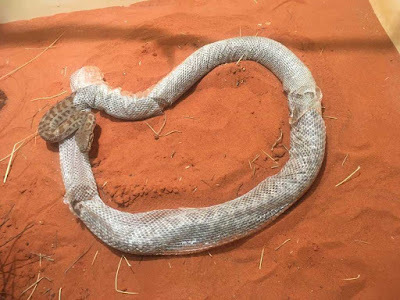 The non-venomous snake, named Stimmy, shed his skin in his enclosure at the Alice Springs Reptile Centre in Australia. But instead of leaving the skin behind he continued circling, travelled through the scales. 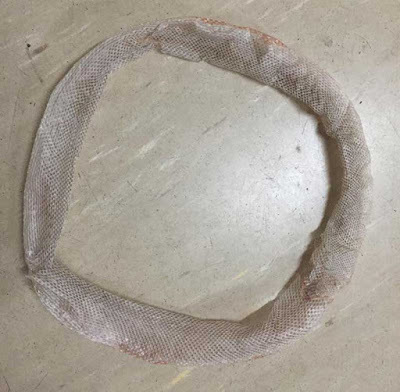 Keepers at the centre recorded Stimmy as he went round and round inside his former skin. 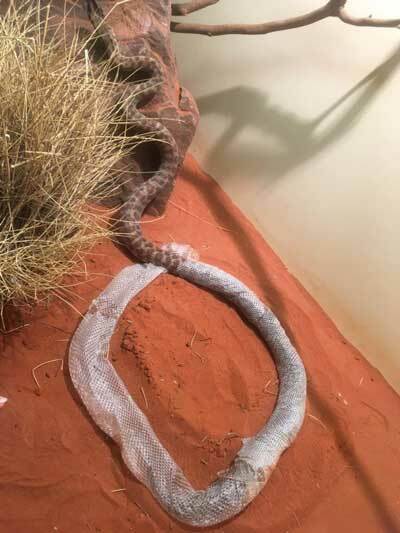 Stimmy eventually broke free from his self-inflicted entrapment. 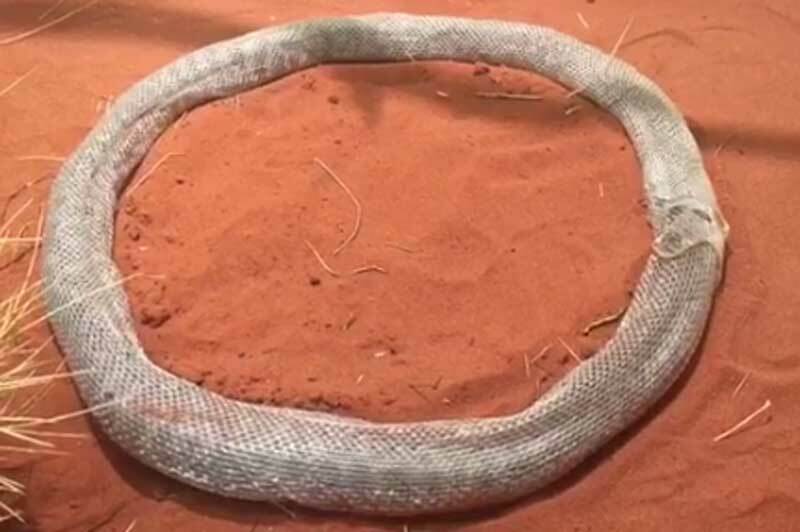 Rex Neindorf, the centre's director, said he had not seen anything like this in his 30 years of working with snakes. There's a short video of Stimmy in his endless loop here.